- CHINE – Suizhong - Chinese archaeologists have uncovered previously unknown Great Wall ruins in a mountainous area in northeast China.The bricks and stones that once formed a section of the wall were found in mountains in Suizhong County in Liaoning province, the official Xinhua news agency said, citing a report by provincial relics and mapping authorities. The section of walls was rebuilt in the Ming Dynasty from 1368-1644, but substantial parts had disappeared or eroded after years of neglect, the report said. Generations of local farmers did not know the bricks and stones were part of the Great Wall and sometimes used them to build houses, local authorities said, adding no measures were ever put in place to protect the walls. The earliest incarnation of the Great Wall was built more than 2,000 years ago to defend against invading northern nomadic tribes. But most sections still standing were rebuilt in later dynasties. - IRAK – Erbil - Erbil city has more than 1,000 potential archeological sites. The hills were once villages that were abandoned, destroyed or the inhabitants wiped out by disease. According to Erbil Directorate of Archeology, of the 1,000 archeological sites in Erbil, only one percent has been excavated. 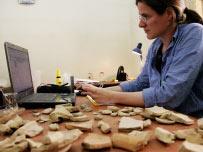 A team of archeologists from Athens University has excavated for a month. In a press conference, the head of the Greek team, Dr. Kosta disclosed that the initial research has put the age of the site at around 7,000 years old and it is from the Mesopotamian era. Dr. Kosta said more than 1,000 archeological artifacts have been found at the site, including sacks, vases and animal paintings, as well as the remains of people, animals and birds. The excavation site is around 10,000 square meters. "The remains of some of the birds discovered are species that no longer exist," he said. The team will return in October to continue the excavation. Work on the site will continue for five years. Kurdistan has at least 1,307 known archaeological sites. Among the most famous is the Erbil Citadel, the oldest continuously inhabited settlement in the world, which has been settled since 6,000 B.C. Another is the Shanidar Cave, where nine Neanderthal skeletons were found, dating back 60,000 to 80,000 years. The cave is in Bradost Mountain, in Erbil province. It was excavated between 1957 and 1961 by Ralph Solecki and his team from America 's Columbia University and yielded the first adult Neanderthal skeletons in Iraq. One skeleton and casts of the others are at the Smithsonian Institution in Washington, D.C.
- R. DOMINICAINE – Catalina Island - Nearly three years after the discovery of the shipwreck Quedagh Merchant, abandoned by the scandalous 17th century pirate Captain William Kidd, the underwater site will be dedicated as a "Living Museum of the Sea" by Indiana University, IU researcher and archeologist Charles Beeker, and the government of the Dominican Republic. The dedication as an official underwater museum will take place off the shore of Catalina Island in the Dominican Republic on May 23, the 310th anniversary of Kidd's hanging in London for his 'crimes of piracy.' 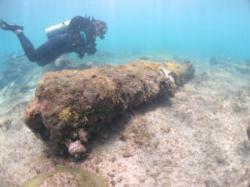 This unique museum, resting in less than 10 feet of water just 70 feet from shore, will give divers the opportunity to see the 17th century ship remains, including several anchors, along with dozens of cannons, which rest on the ocean's floor and serve as home to coral and sea creatures. Above water, several more traditional museums will benefit from artifacts that are on loan to IU by the Dominican Republic government for the purpose of study and research. - FRANCE – Montmaurin - Yves Coppens, Jean Clottes, Henry de Lumley et plus de trois cents éminents spécialistes se sont prononcés contre l’ouverture de la nouvelle carrière à Montmaurin (Haute-Garonne), au nord de Saint-Gaudens, sur un dôme des Petites Pyrénées. Une pétition internationale (connexion) circule afin de classer ce site géologique remarquable, situé dans l’interfluve des deux rivières, la Save et la Seygouade, et d’élargir les périmètres de protection archéologiques. La nouvelle carrière sera située au-dessus des gorges de la Save, classées depuis 1997, et au cœur d’une zone naturelle d’intérêt écologique, faunistique et floristique. Un document signale également que « la zone située en amont du confluent de la Save et de la Seygouade est un foyer d’une richesse peu commune pour la recherche préhistorique ». C’est d’ailleurs là qu’ont été découverts deux objets préhistoriques célèbres, conservés au musée de l’Homme, à Paris : la Mandibule de Montmaurin (300 000 ans) et la Vénus de Lespugue (22 000 ans). Non loin, se trouvent la villa gallo-romaine de Montmaurin, le site de La Hillère, avec ses mosaïques romaines et sa chapelle, et la grotte préhistorique de Lespugue. - USA – Old Stone Fort State Archaeological Park - The Old Stone Fort is a 2,000-year-old Native American ceremonial site. 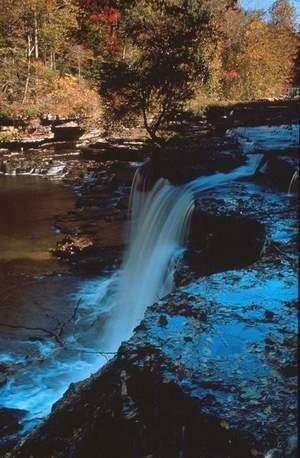 For about 500 years, the site served as a gathering area for people living in and around the eastern Highland Rim. - ROYAUME-UNI - The Bendricks, - An archaeologist has raised concerns about the site of a Bronze Age village in Barry. Karl-James Langford, who runs Archaeology Cymru, said the site at The Bendricks, famous for the discovery of dinosaur footprints, was rapidly deteriorating. He said: “The Bronze Age village was first discovered overlooking the dinosaur footprints at the Atlantic Trading Estate in the mid-1980s. “The outlines of a bank and ditch and several Bronze Age roundhouses were excavated. “However, sadly in 1989 the archaeologists had to leave the site as funding was cut and the archaeological remains were left exposed.” He added: “Since 1989, the archaeological remains have become overgrown, only to be used as a motorbike track in recent years. à Autun (Saône-et-Loire) sous un parking, lors de sondages avant la construction d'équipements publics. "Nous sommes sur un îlot de 100 mètres sur 100 qui accueille un bâtiment public dont nous ne connaissons pas encore la nature: temple, université...", a expliqué Yannick Labaune, qui a débuté ces sondages en mars. Selon ce chercheur, "c'est une découverte assez exceptionnelle d'autant que l'état de conservation est bon, malgré des dommages causés par endroits lors de la construction du parking". Des portiques (galeries couvertes) entourant le bâtiment ont été mis au jour il y a quelques jours. Les recherches doivent se poursuivre quelques semaines puis les services de l'Etat décideront si des fouilles sont nécessaires. Une bibliothèque-médiathèque ainsi qu'une maison de l'enfance doivent être édifiées sur le site. Autun, fondée sous le règne de l'empereur Auguste(-27 à 14 ap. J-C), renferme de nombreux vestiges de l'époque gallo-romaine, dont des portes et un théâtre antique.